Well, this is not a drink for mature adults. This is a drink for people who missed their first childhood, have led a life of toil, trouble and responsibility, and have at some point decided forget all this, they’re going to have their first childhood with a vengeance. And an I.D. which proclaims them all grown up. Bwahahahaha! That said, I have poured this one a few times, and it never works out like the recipe claims it will. 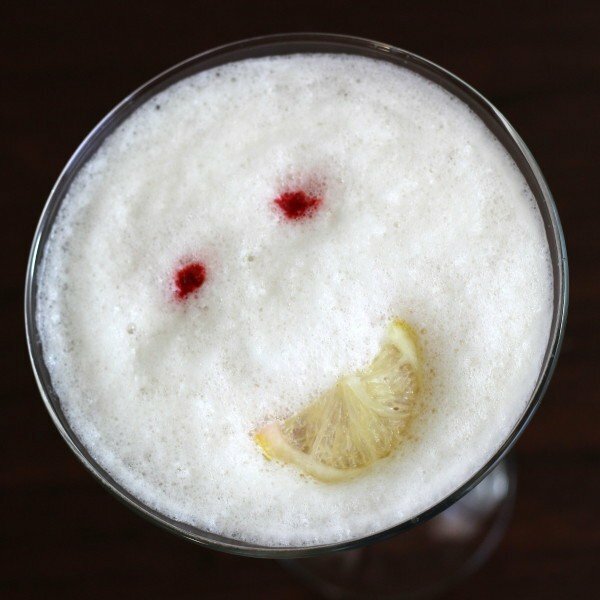 The Happy Face cocktail is supposed to be garnished with a happy face on top – two cherries for eyes, and the lemon half-slice for the mouth. I am not kidding. Like I said, it’s not for people who have adjusted well to maturity. But who wants to be those people? But for me, the cherries always plummet straight to the bottom. So I tried cherry halves – same problem. Then I sliced the cherries as thin as I could and tried two slices. They too sank instantly. This is officially the fussiest drink I’ve ever tried to make. Maybe my cherries are extra heavy or my local eggs are missing something. So I came up with a hack: two dots of red food coloring for the eyes. There. Whatever. I personally think it looks creepy – like a terrifying clown rather than a cheerful smile. Even with the cherries, I still think it would look that way. Honestly, is it even worth that trouble? It’s not a bad tasting drink – fruity, mostly orange. The garnish just isn’t worth the trouble. 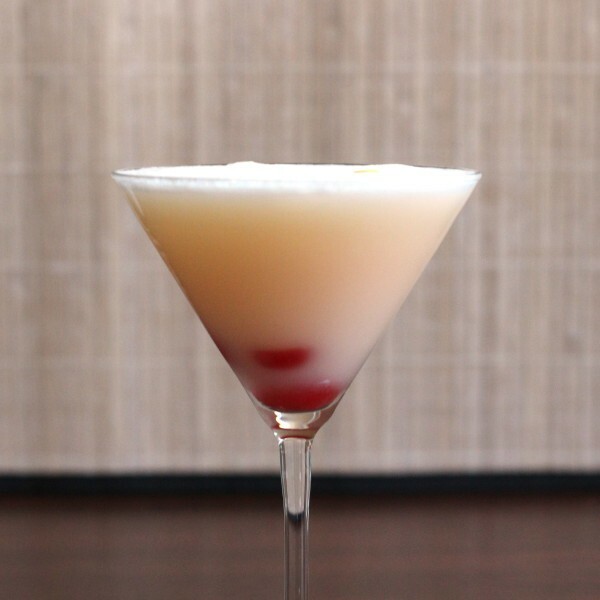 In the photo below, you can see the various cherry halves and slices, happily hanging out at the bottom of the drink. I think I can actually hear their mocking laughter. Fill a cocktail shaker halfway with ice cubes. Pour the gin, vodka, Cointreau, tonic water and pina colada mix into the shaker. Break an egg and drop it into the shaker, or use egg substitute if you’re concerned about consuming raw eggs (the raw egg is traditional, but thanks to corporate farming’s mishandling of salmonella, you’re probably better off with the substitute). Shake this drink a lot – really shake it to break up that egg. Pour the contents, including the ice, into a glass. Fill the glass the rest of the way up with orange juice. And here – are you ready for the really silly part? Float two cherries on top of the egg foam like little eyes, and float a lemon wedge by them so it all looks like a happy face. Only, I’ve never gotten this to work. So just be creative and garnish with whatever.